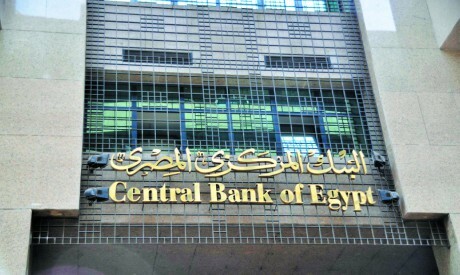 Why the Central Bank of Egypt keeps interest rates unchanged? The Central Bank of Egypt’s (CBE) Monetary Policy Committee last week decided to keep interest rates at 16.75 per cent for overnight deposits and 17.75 per cent for overnight lending. All 12 of the analysts polled by Bloomberg ahead of the meeting predicted the decision. Having lowered interest rates by a cumulative two per cent earlier in the year, they have now been left on hold for two consecutive meetings. “Keeping key policy rates unchanged remains consistent with achieving the target path for headline inflation that was announced in May 2017, namely 13 per cent (± three per cent) in the fourth quarter of 2018, and single digits after the temporary effect of fiscal supply shocks dissipates,” a CBE statement noted. Central banks often use interest rates as an instrument to deal with inflation. When interest rates are reduced, more people are able to borrow more money. The result is that consumers have more money to spend, causing the economy to grow and inflation to increase. When interest rates are increased, consumers tend to save as returns from savings are higher and their spending decreases so the economy slows and inflation decreases. In a commentary on the CBE move, financial consultancy Capital Economics concluded that the reasons behind the decision included an increase in inflation and a slowdown in foreign capital inflows. After major increases in inflation last year as an outcome of currency devaluation to hit the 35 per cent threshold in July, the inflation rate started to ease down but gained momentum again in August when it edged back up to 8.8 per cent. Observers originally expected the CBE to cut interest rates this year as inflation was easing down and the cost of borrowing was high, but the global emerging markets crisis has put it between a rock and a hard place. The US dollar has been gaining strength with the US Federal Reserve last week raising its key interest rate for the third time this year and signalling one more hike in 2018, most likely in December. This means the appeal of emerging markets assets is decreasing, and Egypt is no exception. Lowering interest rates will be translated into lower yields for investors in Egyptian treasuries, but keeping interest rates at their current levels means that the burden of borrowing through treasury bonds and bills will become heavier, making it harder for the government to narrow the budget deficit. The average yield on Egyptian treasury bills rose to 19.45, 19.48 and 19.74 per cent for bills with three, six and nine-month maturity, respectively. Foreign investors’ holdings of Egyptian securities were at their lowest in July since the middle of last year. This low demand has pushed up local-currency bond yields towards 20 per cent. Moreover, foreign investors sold Egyptian stocks at a rapid pace in September, according to Capital Economics. In September, the government refused all bids on longer-maturity bills, which had witnessed a higher increase in yields. The ministry of Minance covered the rejected bids by increasing the amounts of shorter-maturity bills. However, on Monday it sold LE904 million worth of three- and seven-year treasury bonds with an average yield of 18.432 per cent for the first, while the seven-year bonds carried an average yield of 18.431 per cent. In a move intended to tackle low demand and high yields on treasuries, the CBE has approached US investment bank JPMorgan Chase to be included in its index for emerging markets bonds, anonymous sources told the Bloomberg news agency. The government is hoping that inclusion in the JPMorgan index will encourage passive investment inflows and help ease the debt-servicing burden, anonymous sources said. Passive funds are a type of investment vehicle which invests in indices in general and not in a specific security listed on the index. Two weeks ago, Finance Minister Mohamed Maait revealed moves that could facilitate Egypt’s inclusion in the index, saying the government was in talks with Belgium-based Euroclear to settle its domestic debt transactions. While investors currently have to go through local banks to clear transactions in Egyptian treasury bills and bonds, the Euroclear system would ensure cross-border domestic debt purchases clear more efficiently. Meanwhile, observers believe that the CBE will soon resume its interest rate cuts. “The CBE will resume its easing cycle over the coming months. Crucially, the rise in inflation should prove to be temporary, and there are signs that underlying price pressures have continued to ease,” noted Capital Economics. It expects inflation to fall, paving the way for the CBE overnight deposit rate to be lowered to 11.25 per cent by the end of next year.